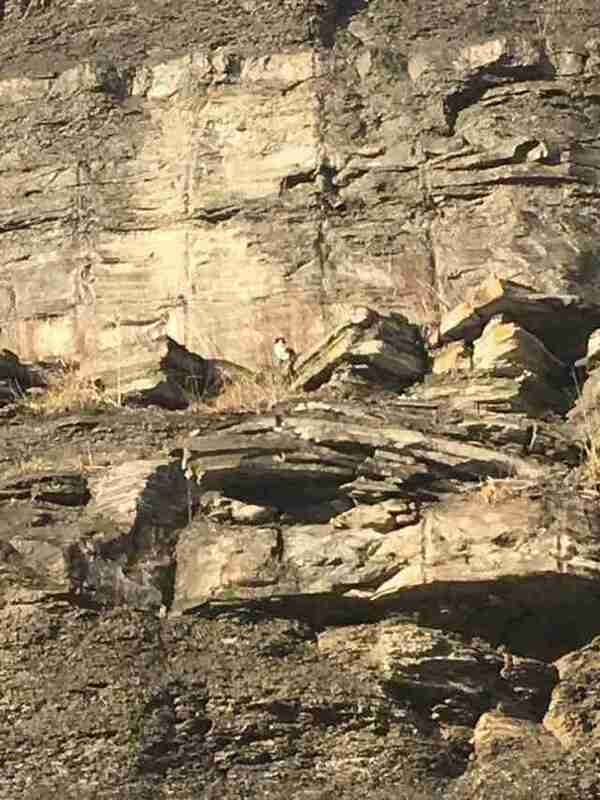 It was a classic case of a cat stuck up a tree — except this time, she was stranded atop a cliff more than 100 feet tall overlooking Logan, West Virginia. The perch was far too steep and rocky to climb down on her own, so the cat had no choice but to wait for help. When that time came, it had already been a week. Marcum went out the very next day during a rainstorm, and sure enough, the cat was still perched atop the ledge looking down at her. 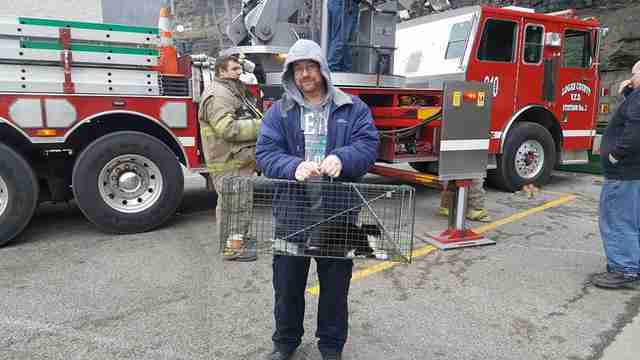 Marcum knew the situation was urgent; the cat had already gone without food for a week and wasn’t moving when rescuers arrived on the scene. 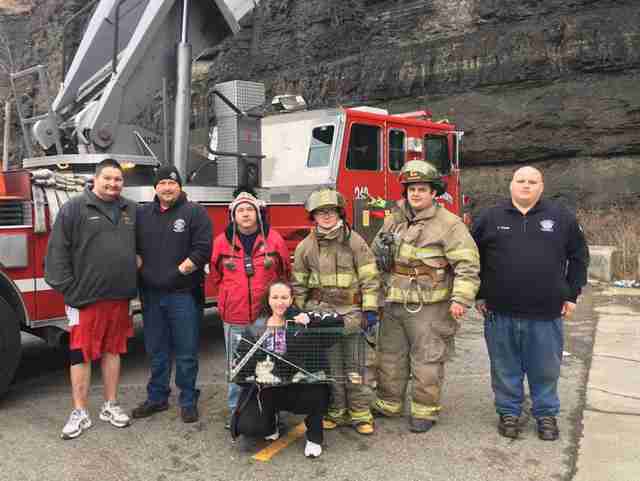 A local fire department came by with a truck — but their 50-foot ladder wasn’t tall enough to reach the stranded cat. 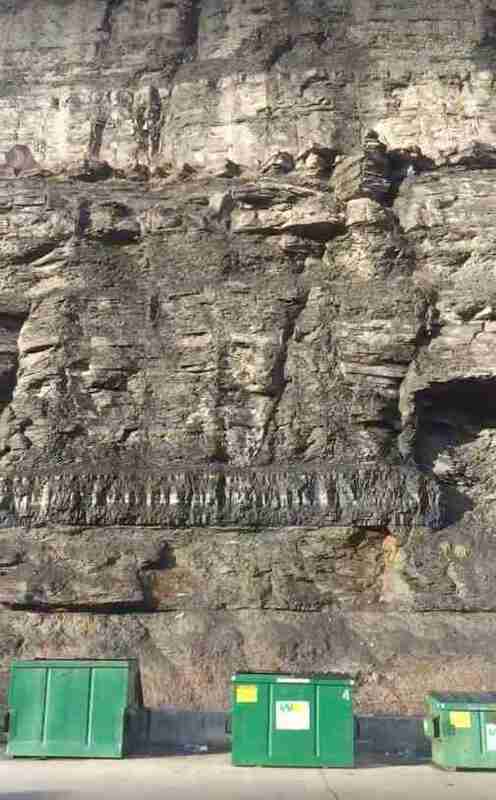 Marcum also tried coordinating with a local rock climber to see if he could anchor to the mountain to get to the cat, but the conditions were just too dangerous. While Marcum helped make arrangements with another fire department, Mills stayed at the cliff from sunrise to sunset to keep watch on the cat and try to see if she was eating any of the food that he had launched up to her. 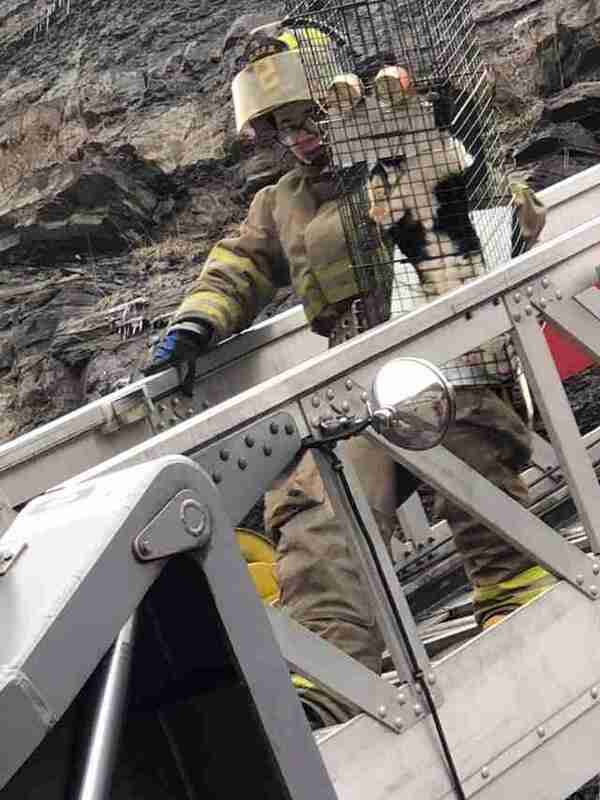 On day 10, the Logan Fire Department arrived on the scene with a 100-foot ladder — which was finally tall enough to reach the cat. She got spooked when the firefighter got close, so he set a trap on the ledge and covered it with a blanket in hopes that she would go inside. While it’s unclear how the cat got up there in the first place, it’s possible she could have been scared up there by another cat or possibly a wild animal. After her high-flying adventure, the cat had lost some weight — but other than needing vaccinations, she got a clean bill of health from the local vet’s office. She had already been spayed prior, thanks to the rescue’s trap-neuter-release program for stray cats within the community. Mills took her home the same day and named her Lilo. Looking around at all the people who helped save Lilo, Marcum is thankful they got to her when they did — which was seemingly the perfect moment. The day after, the town had torrential rainstorms that caused flooding. 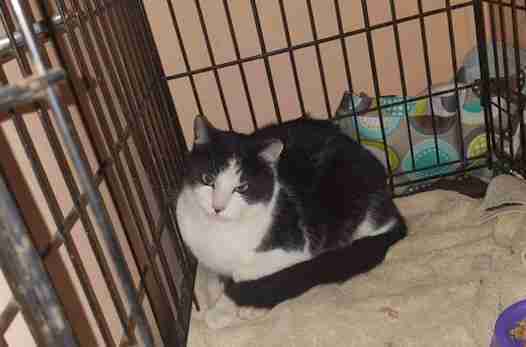 To help support animals in the care of The Paws Squad, you can make a donation.